The 550 features a .468 inch bore and provides a powerful forward projection. 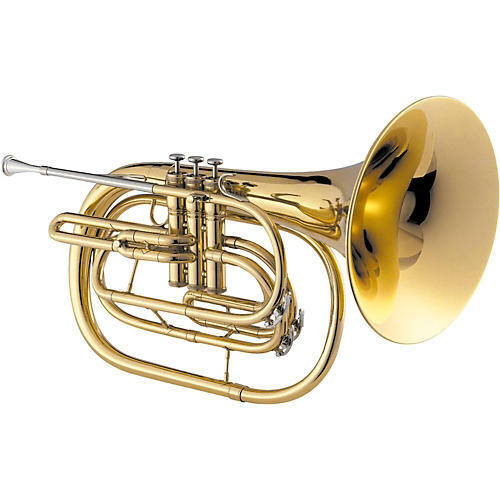 With the strong sound of the Bb side of a double horn, the 550 makes the upper range of marching music easier to play and more dramatic in tone color. Features: Durable Construction; Stainless Steel Valves; Dual Water Keys; Weight: 3.9 lbs.